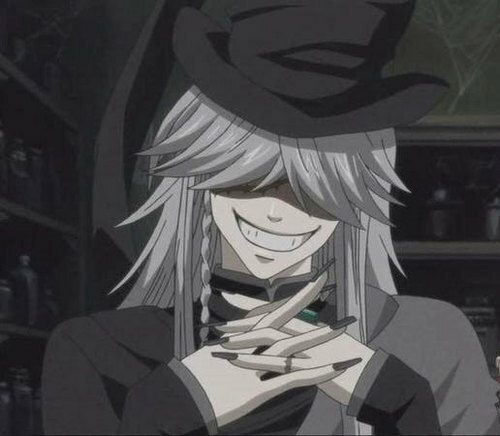 The UnderTaker. . Wallpaper and background images in the black butler club tagged: black butler undertaker kuroshitsuji. is anyone else wondering how sebastian made him laugh??? ♥ what a smile ! haha ! I think there maybe something wrong with him. He let Grell put him in a salt barrel! Who dosn't love to be put in a salt barrel?